SINDHULI, July 31: Wild elephants have continued terrorizing the residents of various wards of Kamalamai Municipality for the past seven months. The elephants enter human settlements mostly at night, destroy crops and pull down houses. On Friday night, three wild elephants entered a village at ward 8 of the municipality and demolished five houses and damaged food and crops. The locals whose houses were destroyed by the elephants include Ramji Shrestha, Ambika Shrestha, Gopal Shrestha, Bal Bahadur Shrestha and Krishnamaya Ale. In Gopal's case, this was second time the elephants caused loss to his property. Locals said they stay up all night fearing for their lives -- most of them said they take turns to sleep. They said there have been times when they fled their homes at night. According to the Area Police Office, Bhiman, wild elephants destroyed the houses of many locals of Gauran tole too. Locals said they stay up all night fearing for their lives. Most of the locals said they take turns to sleep. They said there have been times when they fled their homes at night. Meanwhile, police claim that they have tightened security to protect the locals from the pachyderms. Security personnel have also asked locals not to tease the elephants. Likewise, the locals of Kamalakhoch and Sindhulimadhi also complained that they have been living in constant fear of elephants. Gradual loss of food and habitat have been assigned as the reasons for the animals entering human settlements. 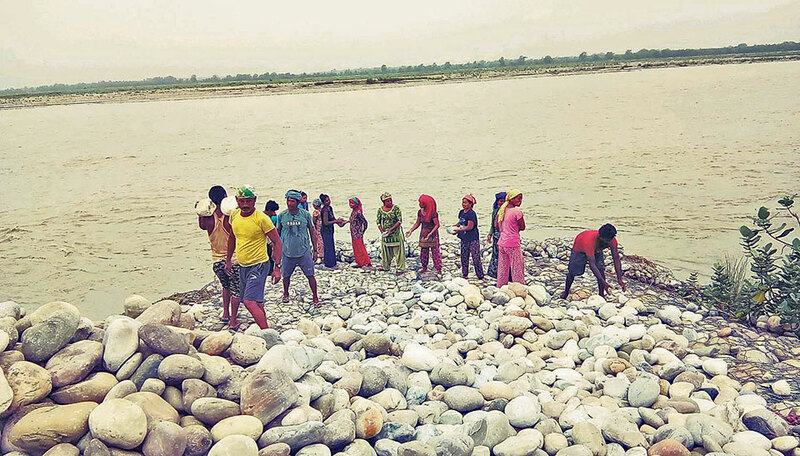 As elephants have been frequent visitors to some particular villages, the locals are at great risk, says Ramhari Dhungel, the chairman of ward 10 of Kamalamai Municipality. Locals have urged the responsible authorities to do the needful to end the tusker terror.